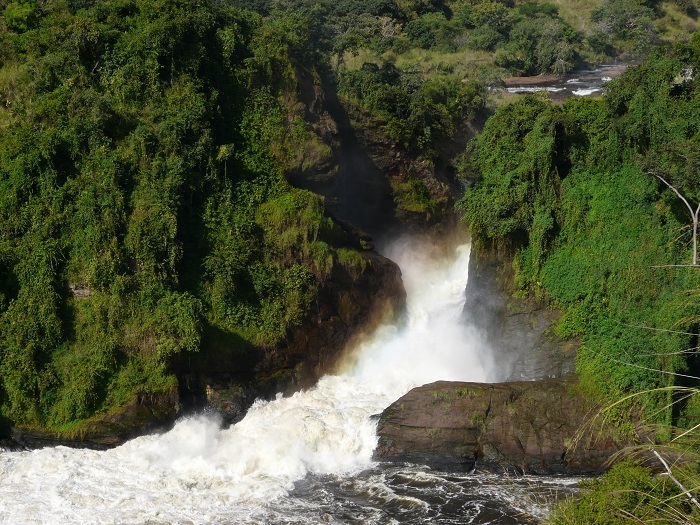 Murchison Falls, also known as Kabalega Falls, is a powerful waterfall which is located on the White Nile River in the western part of the Republic of Uganda. 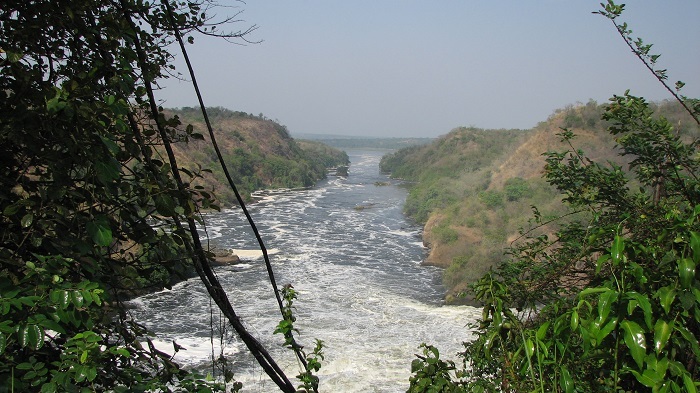 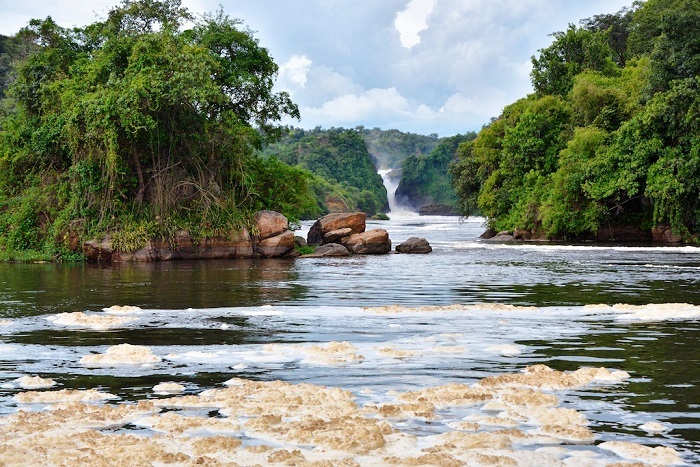 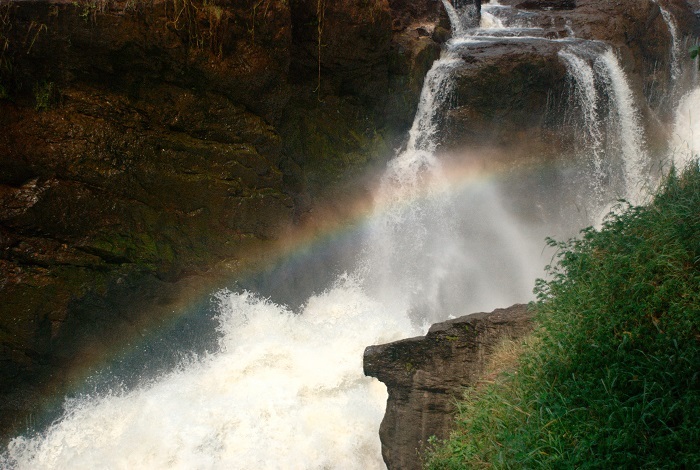 Located more precisely between Lake Kyoga and Lake Albert, Murchison Falls was first sighted in mid 1860s by the British explorers, Sir Samuel and Florence Baker, who named them after the president of the Royal Geographical Society, Sir Roderick Murchison. 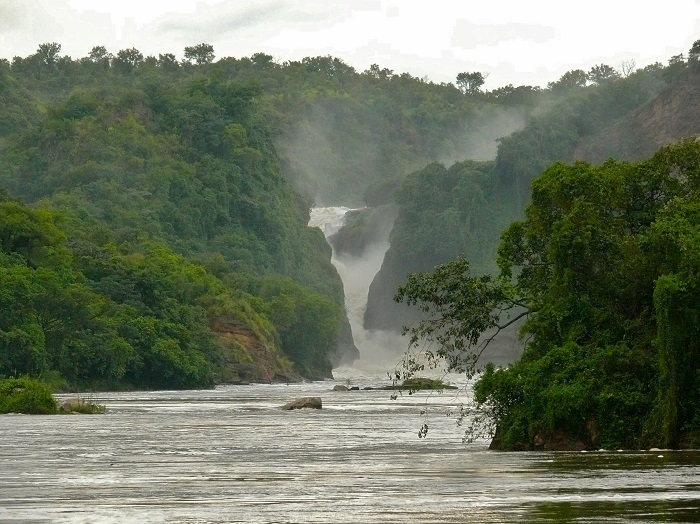 Having a height of 43 meters (141 feet), it is definitely considered to be among the most powerful waterfalls in the world, as the White Nile flows through a 7 meters (23 feet) wide gap in the rocks, towards the 10 meters (30 feet) wide gorge, sending some 300 cubic m/sec (11,000 cubic ft/sec). 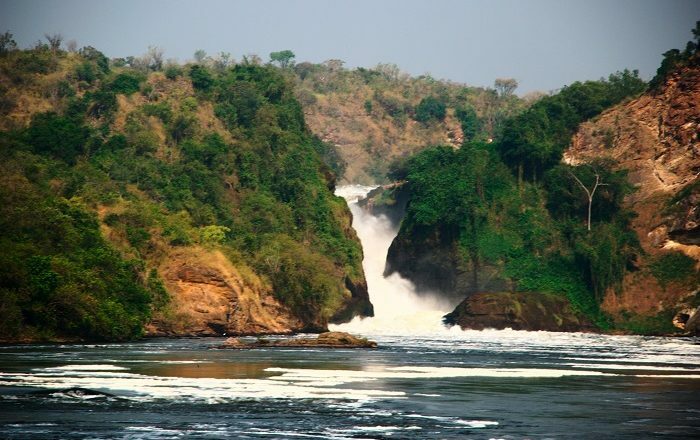 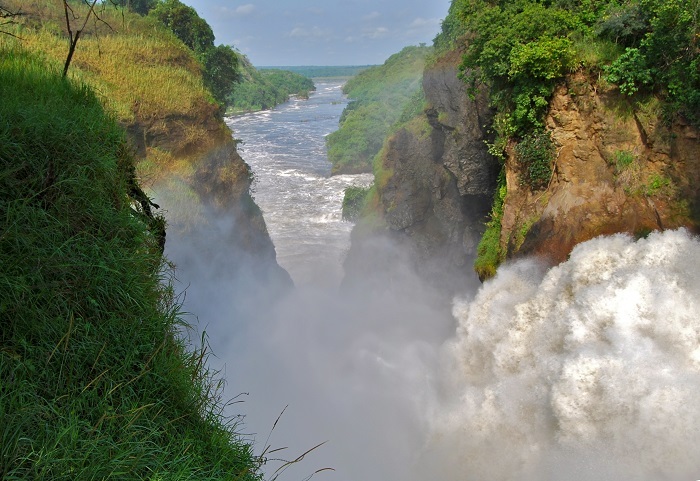 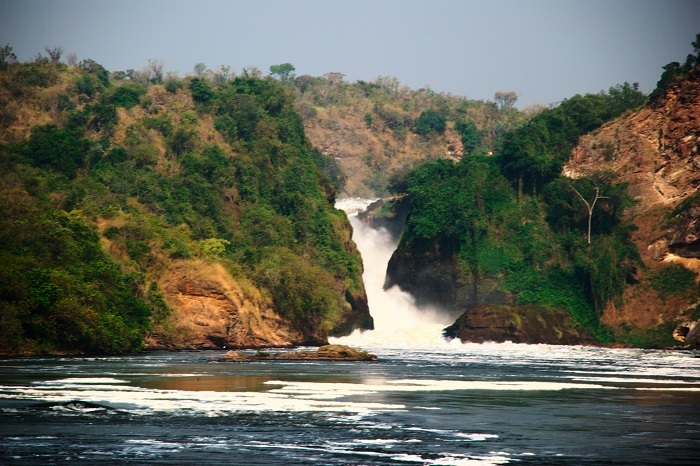 The impressive cataract is actually the central feature of what is known as the Murchison Falls National Park, a park which was established as such in 1952. 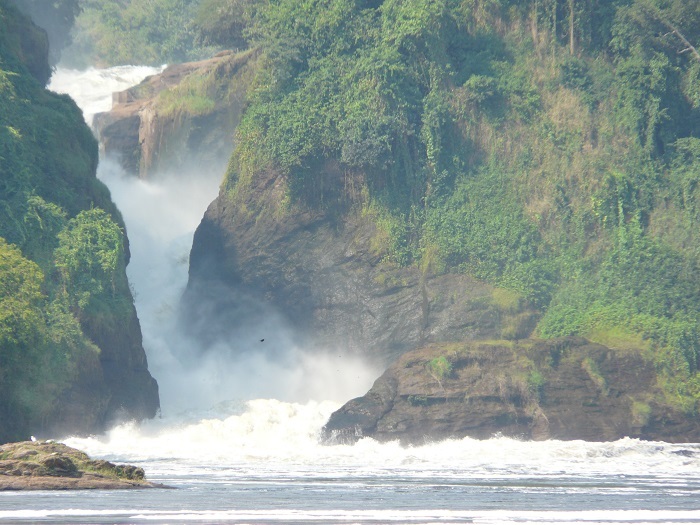 Interestingly enough, in 1970s during the rule of the then President Idi Amin, the waterfall was renamed into Kabalega Falls after the Omukama Kabalega of Bunyoro, the ruler of the kingdom in Western Uganda, although this was never broadly promoted, and with the fall of the Ugandan leader, the original name was brought back once again. 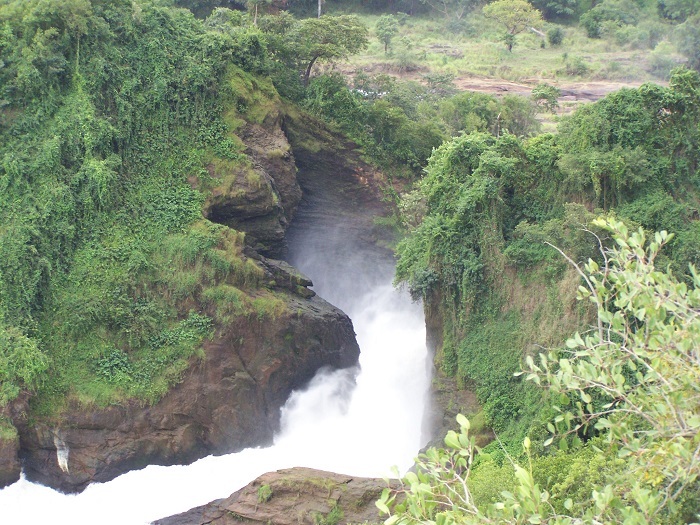 All in all, a powerful waterfall which will mesmerize everyone, and with the addition of the natural park, it is definitely a place in Uganda which is worth visiting even just for couple of hours.